Just thought I'd post some photos of my pride and joy. I love making high waisted shorts out of thrifted jeans, & collars out of thrifed mens shirts. 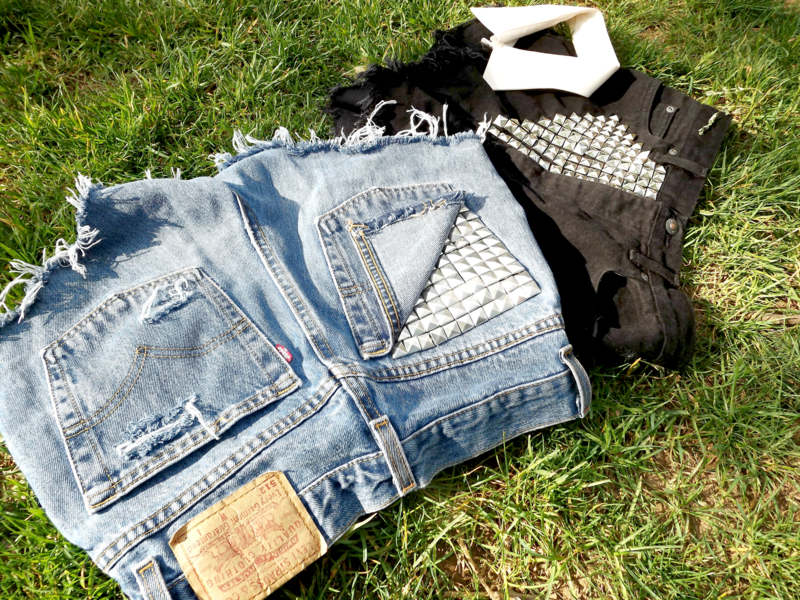 I'm currently selling the studded ones on the right in the first picture on eBay! Too cute! You should start doing a lot of them, I'm sure they would sell. Those look awesome - love the studs! These are sooo cute! You did an amazing job on them, if I wasn't so broke I would definitely buy! They are amazing, really cute!... thinking in a DIY myself, but doesn't bug when you sit?... kisses! The ones in the first pic are awesome! I love that version. <3 You did wonderfully. I've never DIYed any clothes but I'm thinking I should start, hehe. Hi there! Thanks for your comment on my blog :) would you like to follow each other!? :) take care! I'm following you now, follow each other? 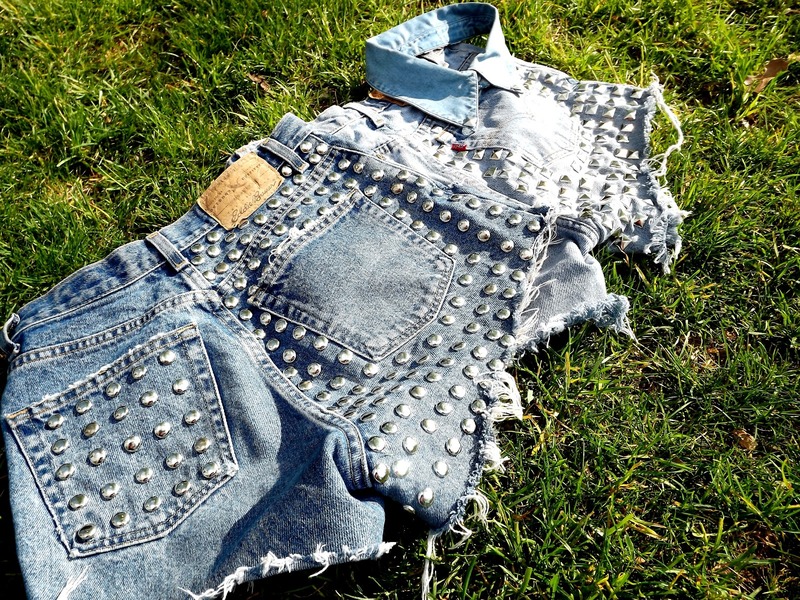 Love the fold-down pocket on the jean shorts that reveals the studs. Cute! WOW! these are awesome!!!!! Thanks for the lovely comment on my blog! LOVe,love these shorts & your blog!